In the anticipated lead-up to its opening on 18th May 2019, award-winning, boutique hotel brand Dakota Hotels has announced its General Manager and senior team at Dakota Manchester. Located on Ducie Street, close to Piccadilly Station, Dakota Manchester boasts 137 luxury bedrooms, including 27 suites. The penthouse suite, named the Grand Deluxe, is set to be the largest and most elegant suite in the city. 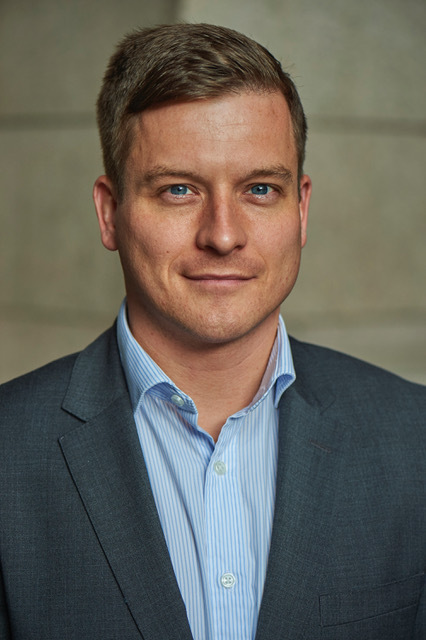 Leading the team will be Matt Townley, who has been appointed General Manager of Dakota Manchester – the latest hotel in the Dakota portfolio from former Hotelier of the Year Ken McCulloch. Townley, formerly of Principal Hotels, Malmaison and Devere Resorts brings over 15 years’ experience to the role, having worked alongside some of the industry’s leading names. Alexa Cherry strengthens the senior team, as Director of Sales – she joins from Living Ventures flagship restaurant, Australasia, with time spent at Eclectic Hotel Collection prior to that. With first-class customer service being at the forefront of the Dakota experience, Tom Kelly joins as Front of House Manager. He brings with him a wealth of hospitality expertise, including his notable responsibility for orchestrating the Front of House Team during the NATO Summit at Celtic Manor. The heart and soul of Dakota is The Grill, a vibrant neighbourhood brasserie. The Grill will be under the direction of Head Chef Sam Karle, formerly of Simon Radley at Chester Grosvenor, Aiden Byrne at Church Green and Mottram Hall in Cheshire. He will work alongside the newly appointed Bar & Grill Manager, Tom Husted, joining from the Ryder Grill at the Belfry Hotel & Resort in Sutton Coldfield. Committed to developing talent from within, Dakota have also appointed other key roles for Manchester from their other properties, notably Stephen Martin, who joins from Dakota Glasgow. Martin will lead the operations as Deputy General Manager. The fifth hotel in the Dakota Hotels group, a partnership between internationally renowned hotelier Ken McCulloch and Evans Property Group, Dakota Manchester is a £30m development and the latest addition to the brands’ expanding portfolio. With luxury and elegance in every detail, the creative team is headed by internationally acclaimed designer Amanda Rosa. The name Dakota was inspired by the aircraft, which transformed the face of air travel by offering style and impeccable service. The Dakota brand has applied this ethos to its hotels, providing guests with style, sincere hospitality and service based on timeless, classic values, to deliver an unforgettable experience.